As the 1960s turned into the '70s, cultural overload with the influence of political convictions often resulted in young people withdrawing from the predominant culture and trying to sustain a more "natural" way of life that eschewed commercial considerations. Good Dog Banned formed amid such circumstances around 1971. Guitarist Doug Mortenson was playing a gig in a bar called the Rite Spot in northern California one night in 1971, when Tim Cain (sax, guitar) walked in, took out his flute, and proceeded to bring down the house. The two played a set together before Cain left without a word. Mortensen later came to find that Cain was from San Francisco cult legends the Sons of Champlin, and, with the band's ex-manager Bamboo, he had come from Marin to form a commune. Mortensen had left Los Angeles in 1971 along with Chris Miller (guitar, sax) during the hippie exodus from the cities, looking for cheap rent and a good time. He had played in numerous garage bands while Miller had come out of the coffee house-folk circuit. Bassist Dwight Wolf joined up with the other guys after exiting his miniscule town in Colorado, where he was likely exposed mostly to country and rockabilly. Lee Marks came from Pasadena to round out the band . His roots arose, in part, from his experiences in high school attending black church services with his girlfriend and absorbing the rhythms and nuances of gospel. As with a lot of the bands that seemed to spontaneously arise on communes, Good Dog Banned played entirely for fun and the experience of musical interaction without even considering the commercial possibilities, and, as such, their performances tended to lean more in the direction of joyous dance party rather than bar or club gig. They typically improvised for long periods of time, sometimes for over 45 minutes. There was also a fair share of countercultural weirdness: after one gig, Cain was inducted into the Church of Universal Light by a fan, and the band routinely added marriage ceremonies to its repertoire. The band played throughout Humboldt County during a fruitful musical period in the early '70s. There were plenty of clubs, and, with local hippies and the influx of countercultural types from the cities, there was a hungry audience looking for non-commercial music, something more in the moment and without music business motives. And like many folks who experienced the communal life, the members of Good Dog Banned, while having moved on from their backwoods existences living (and playing) off the land, still consider themselves family. Their single eponymous album, privately pressed in 1973 (in a run of only 200), was reissued on CD by Gear Fab in 1999. 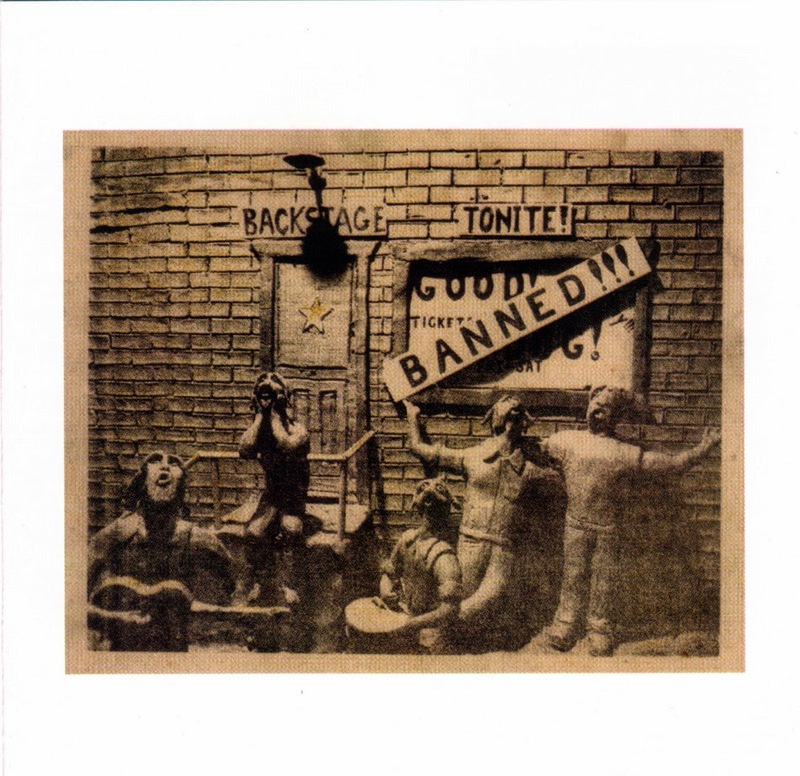 Although it ran parallel with the back-to-basics feeling that permeated the early '70s, Good Dog Banned arrived at a distinctive strain of organic rock that was much more joyous and good-timey than many of their musicians-in-arms. Their one stab at rock & roll immortality, Good Dog Banned seems oblivious to any sense of anger at the "failure" of the '60s dream to take complete effect as of 1971. Whereas some '60s expatriates were decrying the cultural revolution, Good Dog Banned were singing "Things Ain't so Bad," heading down to the river and drinking wine. There is no nostalgia, no cynicism present. The band was untethered, ingenuous. Perhaps it could be viewed as rose-colored hippie denial, but in retrospect, the pure, unselfconscious charisma and the lack of piety that Good Dog Banned inject into their only effort makes it seem less of its time than other bands of this ilk. 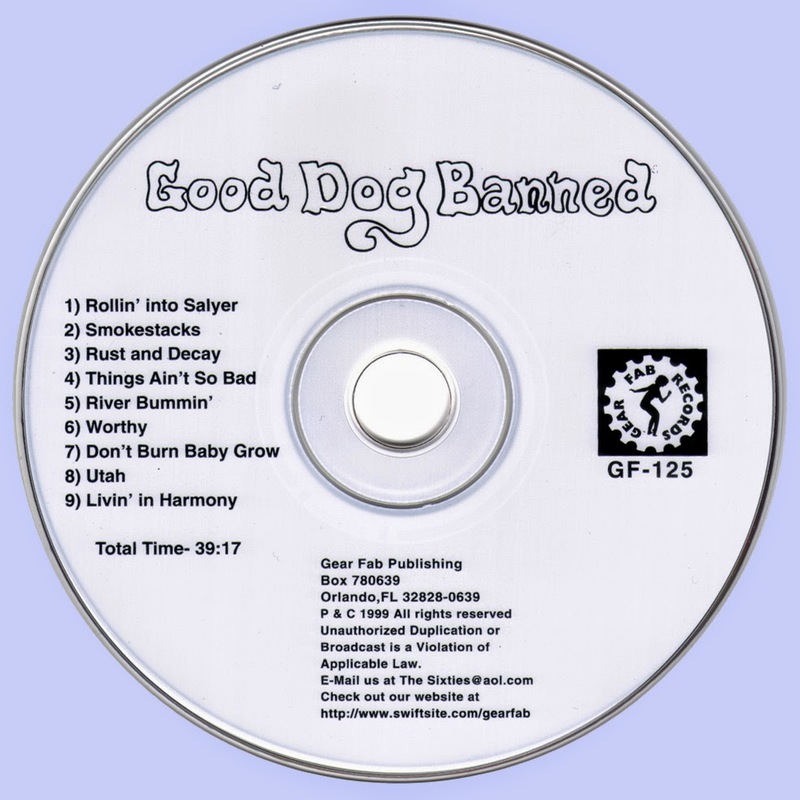 Still, a lot of love and togetherness are espoused in Good Dog Banned's lyrics (cynics beware), and the members do seem to have a tightness that only comes from "Livin' in Harmony," as they sing on the final song on the album. Each of the members take a stab at singing lead, and each is a solid vocalist, but it is Lee Marks' wonderful, soul-drenched voice (like Bob Mosley in his softer moments) that is the clear standout. The music has the same funky, loose ensemble playing -- from the sprinkling guitar chords on long groover "Smokestacks" to the steel pedal-led country-rock groove of "Rust & Decay" -- and the same old-time country-boy sunniness of the Band and same-period Grateful Dead, only with more prevalent saxophone that keeps the music from seeming overtly wistful or nostalgic, not throwback as much as laid-back. The album is not wholly consistent -- "Don't Burn Baby Grow" seems more silly than anything else, and a couple of the cuts inch somewhat too close to the inane boogie of Grand Funk Railroad -- but, on the whole, Good Dog Banned is draped in moonlit country soul.